3-star Superior Hotel Nazionale is located in Desenzano del Garda, right next to the historic centre. The hotel stands out for its design and modernity and offers a charming experience within an environment filled with courtesy and competence. The comfortable services offered by the hotel marry with the local charm providing a stay where everything matches perfectly. The classy hospitality can immediately be spotted by looking at the Hall’s furniture featuring modern and comfortable bright-colored sofas laid out in the spacious sitting room brightened by the glass windows. In the Hall is also the hotel’s Lounge Bar which often hosts music events, fashion shows and cultural meetings. Our Breakfast Room welcomes guests every morning, serving pastries and refined morning delicacies. The buffet is full of sweet and savory specialties to meet every need. The hotel provides a range of room types to make sure everyone will find his or her ideal accommodation. The Comfort rooms are welcoming and furnished tastefully, Superior rooms boast a view over the pool or lake and feature a gracious in-room sitting room with small armchairs and design tables. Family Rooms are spacious and some of them enjoy a large terrace with pool view as well as two internal divided spaces, one for the day and one for the night. Lastly Junior Suites are furnished stylishly and tastefully and offer spacious environments at times divided into two areas. The sleeping section includes the bathroom. Cycling enthusiasts are welcome at Nazionale Hotel. Our hotel offers unique itineraries varying in difficulty including simple walks, adventurous trails by motorbike up to the lake’s long tour. The Trails are always plunged into nature and offer a wonderful view of the lake and the mountains in the background. 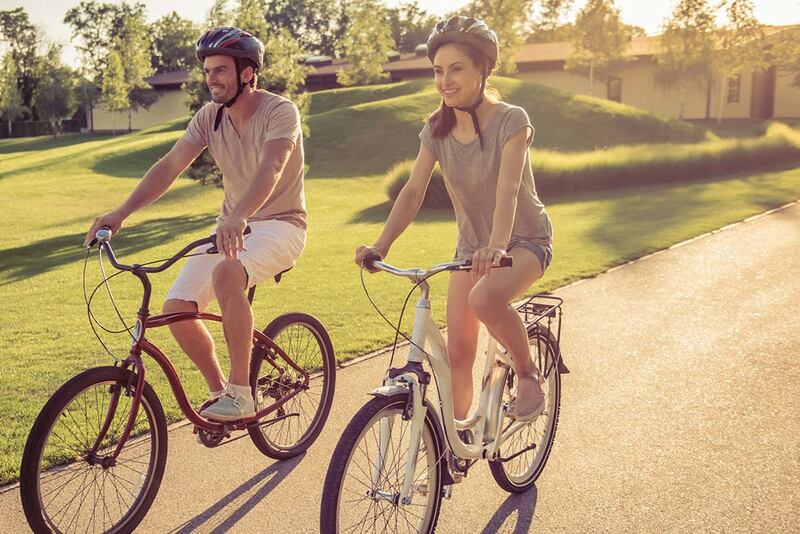 Nazionale Hotel provides last-generation Carrera bikes to its guests who love cycling. Those using their own bike may benefit from an external parking, a covered and CCTV-monitored garage. The hotel also has an ultra-handy Bike Room where guests can clean, degrease and grease their bikes and deal with maintenance activities. Sportsmen can count on our rich buffet breakfasts and on demand they can even request a refreshment after a cycling session or a pasta party with locally grown produce. They can also book physiotherapeutic massages. The hotel’s is elegant and spacious and is wholly surrounded by a wonderful solarium equipped with loungers and parasols. It makes an ideal place to enjoy a few moments of relax, take a toning swim, chill out in the hydromassage area and sip your favorite drink on the open-air terrace. Nazionale Hotel establishes itself as a perfect location to hold business meetings. We provide 4 meeting rooms having different features. Also, our chef specializes in the creation of innovative and tasteful proposals for breakfasts, coffee breaks, happy hours, brunches or gala dinners.